Heather Dawe-Tobin has been around basketball for the last twenty-five years. She has been involved locally, provincially and nationally as a player and as a coach at the developmental age level. With her playing experience coming from years of NLBA teams to a player on the 1999-2000 AUAA championship team with the Memorial Sea Hawks. Her coaching experiences comes primarily from school teams, to coaching with programs such as Future Stars, City Stars and MAX basketball. Heather’s love for the game and commitment to fostering the development of basketball in kids at a young age has lead to a desire to give back to her community and next generation of players. Heather has been a primary/elementary school teacher with the Eastern School District for the past 10 years. 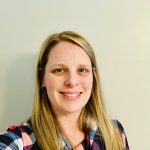 She graduated from Memorial University with a Bachelor of Kinesiology, as well a Bachelor of Education degree with a focus area in Physical Education. She is currently working towards her masters degree in literacy at Mount Saint Vincent University.